Art has extensive experience in complex business and commercial real estate transactions and real estate title issues. His professional experience includes the settlement of over 10,000 transfers of real property. Mr. Konopka joined Jackson & Campbell, P.C. in 2014. With nearly five decades of legal experience, and over 30 years in private practice at the Law of Office of Arthur F. Konopka, Art brings a wealth of knowledge to the Firm. He is well-renowned by both clients and peers for his excellence in commercial and residential real estate transactions and probate proceedings. Art’s professional experience includes the settlement of over 10,000 cases and the supervision of countless settlements. He has extensive experience in complex business and commercial real estate transactions. Art has been an active participant in the Real Estate Communities of The District of Columbia Bar, having been elected in the past to serve two terms on the Steering Committee for Real Estate, Housing, and Land Use. He has been for many years a member of the Contract and Clause Committee for the Greater Capital Area Association of Realtors® and a member of the Maryland Association of Realtors®. Art is qualified as an expert witness in real estate and probate matters in the following Courts: U.S. District Court, Washington, DC; U.S. Bankruptcy Court, District of Columbia. ; Superior Court of the District of Columbia; Montgomery County, Maryland Circuit Court; and Montgomery County, Maryland District Court. Art received his J.D. from Columbia University and his Bachelor of Arts from Creighton University. 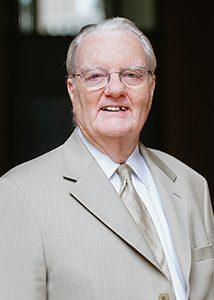 His past roles include attorney in the Office of General Counsel at NASA, during the Apollo years, and Program Director at the National Science Foundation, creating and directing the Law, Science, and Technology program, where among other areas of inquiry he was responsible for the research of property regimes, and the analysis of real estate transactions. Art has earned an AV® rating from Martindale-Hubbell®, the highest recognition achievable for professional ability and ethics.